A new article in Scientific American by John Maston, “On the Trail of Space Trash,”shows that our most exotic garbage has a lot in common with other forms of waste. His article explains one of the newer problems with space debris: it is multiplying. 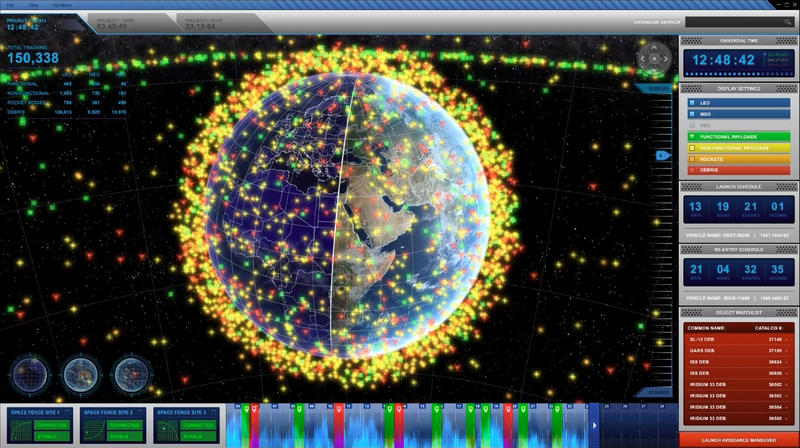 A September report by the National Research Council found that the debris field is so dense that collisions between objects in orbit will create additional debris faster than space junk falls out of orbit. 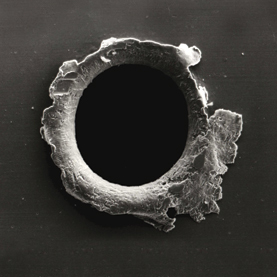 The predicted outcome: an exponential growth of the number of pieces of space debris. Satellite panel with damage from orbital debris Image: Courtesy of NASA Orbital Debris Program Office from Scientific American. This doesn’t mean an increase in the weight of (weighless) debris, but the main danger with trash in space is that individual objects “each [pack] enough kinetic energy to disable a satellite.” An increase in numbers of ever-smaller pieces of junk is a greater danger than the accrued mass of all the trash put together. This is also the case for ocean plastics, another scenario of trash saturating wide open, inaccessible frontiers. The increase numbers of microplastics as larger pieces fragment presents very different problems than macro debris. The size of individual debris matters. Maston also mentions Space Fence, “a new $6-billion radar system that the U.S. Air Force is planning.” Space Fence is a debris surveillance system that can track objects as small as a marble. Surveillance and waste have always had an ambivalent relationship, as conditions of cleanliness and waste practices have been used to oversee certain populations in history, but at the same time, it is difficult to track any individual piece of trash from discard to final resting place (though this is exactly to project of Trash Track out of MIT). Space trash is exotic, but it isn’t necessarily foreign. It shares characteristics and challenges of other forms of twenty-first century trash: relations of size and scale, the [extra]global geography of waste circulation, the ambiguity of surveillance, and the presence of waste beyond the well-trodden edges of our human frontiers. This isn’t to say that there is no significant difference between discarding Sputnik and tossing a tuna can, but that perhaps the unique forms and dilemmas of twenty-first century waste (as well as their continuities with trash of the past) is starting to take shape, and its time for us to do some comparative work. Space Fence. Image courtesy of Lockheed Martin website. This entry was posted in Environment, Government, Technology, Waste. Bookmark the permalink.